Do you like your Armagnacs huge and oaky? Then you'll love this. 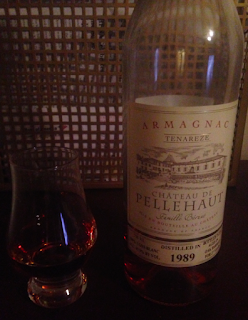 Armagnac is usually a mix of three factors: grape, spice and wood. A baco like this, when kept in wood for 27 years, tends to be heavy on that wood factor, and this is no exception. There's some rich fruit upfront, like old sherry. Then it moves into some clove spice and like most Pellehauts, it's got that nice Campari bitterness note at the end too. The oak is heavy and musty, like the kind you'd find in old ryes from the Meldley/Cream of Kentucky barrels (think Vintage 21 Rye or Rittenhouse 21). I thought those ryes were spectacular, but I have a high tolerance for oak. Others, with inferior palates, tasted wood and nothing else. To hell with them, they're proles. This isn't an exercise in the elegance of the grape, like a Folle Blanche. It's an over-the-top bruiser with that crushes you with oak. 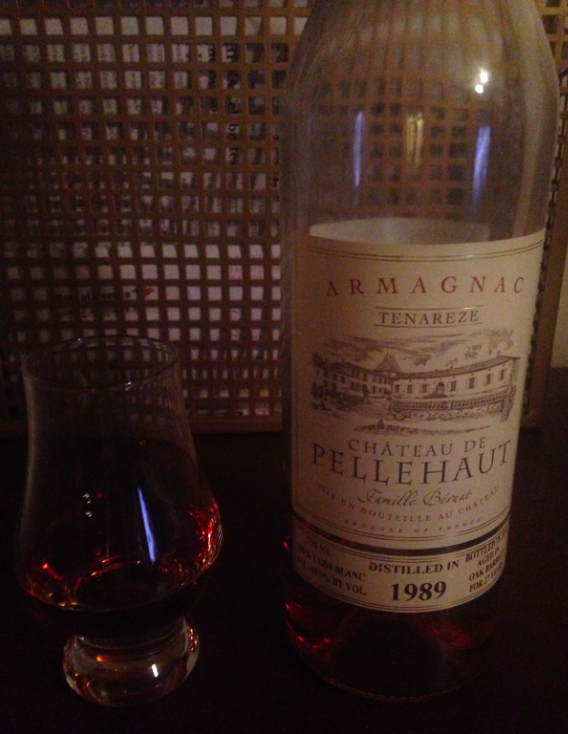 An outstanding Armagnac and bargain. "The Revolution will be food-blogged!"